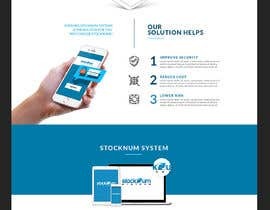 My company is adding a new line of services and need to redesign our website to meet our new direction. 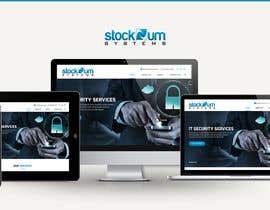 You will be creating a new design for an IT Security Services company called stockNum Systems ([login to view URL]) that specializes in secure storage and retrieval of private customer data such as credit cards, driver's licenses, credit reports, criminal background checks, and more. The final design must be submitted to us with full PSD layers and a fully rendered out HTML/css website. Please do NOT use frameworks/css libraries as we want a clean and fast loading website. I will not accept submissions with multiple css include files. I do not #Guarantee nor #Seal projects. You can check my feedback and know that I am a serious employer. Do you intend to close it early as one entry already has a good rating? Would like to participate. are you need only home page design? I need the whole site. Are you ok if i use CMS(Content Management System) as base for the website? No, we only allow static HTML on our servers for security reasons. We will custom write any CGI scripting needed for contact forms etc. Do you have some images for website? Use from Adobe Stock, tell me which ID number you used and I will purchase a license once final design has been selected. hi will you be accepting the entries with the only css classes which bootstrap use to make a website responsive. not the entire bootstrap framework? As long as it is small. The goal is I do NOT want a website with multiple kilobytes of CSS attachments. Small/concise is ok.
Could I use Gulp LESS or SASS? I am not sure what those are, so lets go with the answer being no. I do not understand? Do you mean our current site? it is listed in the description.